The Festival is curated by students on the MA and MArchD Development and Emergency Practice course within the School of Architecture at Oxford Brookes University, together with students on undergraduate Film Studies, International Relations and Business and Marketing Management courses. 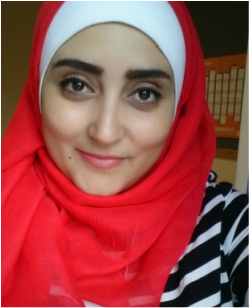 Amani Al Bohisi from Jordan is an MA student in Development and Emergency Practice. She is interested in peace building, conflict resolution and refugees studies and health. She has a Masters degree in Public Health and has been involved in humanitarian work for the last 4 years working for Doctors without Borders where she was exposed to various refugees' experiences and was an advocate for the marginalized and underprivileged population to their access to health care( eg: vaccine). She is highly interested to be part of such amazing work like the Oxford Human Right Festival and to be the voice of others and raise the awareness of critical human rights issues in different contexts. Amani is a scholar for the Said Foundation. 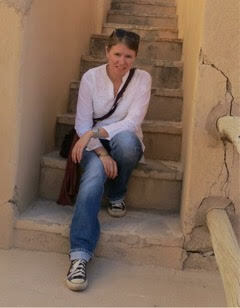 Stephanie Mehanna is a post-graduate student at Brookes, studying MA Development and Emergency Practice. Before coming to Brookes Stephanie was a project consultant for law firms in the US and UK. She has a passion for human rights, urban livelihoods and in livestock and companion animal welfare post-disaster. 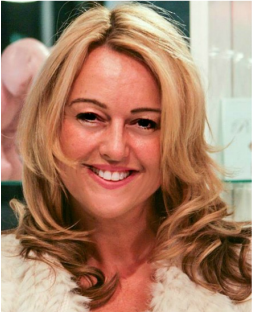 She is an accredited small business advisor having owned successful retail and service businesses in the past. In her spare time she mentors budding female entrepreneurs. Stephanie is excited to be part of the Human Rights Festival team believing home should be a warm, safe, healthy environment protecting an individual’s dignity and privacy. 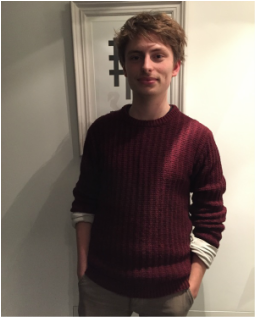 Harry Tuke is studying his MArchD in Architecture at Oxford Brookes University and is specialising in Development and Emergency Practice this year. He practiced as an architectural assistant in London working on historical buildings after completing his BSc in Architecture at the University of Bath. He was also involved in activism against the food waste crisis in the UK, helping build and run a food surplus café in London, which related to issues such as food scarcity, homelessness and waste in many sectors such as construction. He’s now interested in looking at the wider realm of Human Rights at home and abroad and spreading awareness through great events like this one. Christina Tschopp (35, from Switzerland): After working in the humanitarian sector for more than 5 years she joined Oxford Brookes University to take a step back from the practice and deepen her academic knowledge on the major issues of Development and Emergency (DEP program). Being in the field in various countries, she has encountered many human rights abuses and believes it is a topic that still needs to be addressed with the general public. It was then natural for her to join the Human Rights Festival Committee. It is an event that brings together people from human rights practitioners, students, lawyers to any persons interested in this subject. 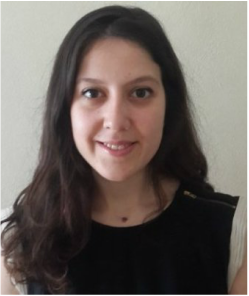 Fatma Özdoğan was born in Turkey in 1988 and is an architect, search and rescue team member and a volunteer. She practised as an architect in Baku/Azerbaycan and Istanbul/Turkey in different companies and projects. She is a volunteer and a search and rescue member in GEA-SAR for 6 years. She studied architecture at Yildiz Technical University Istanbul. She completed her graduate degree at the same university. 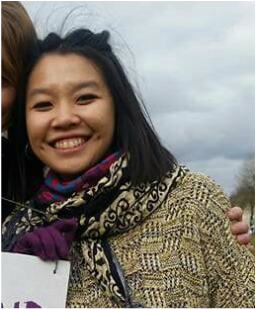 She is a post-graduate student at Oxford Brookes University, MA in Development and Emergency Practice. 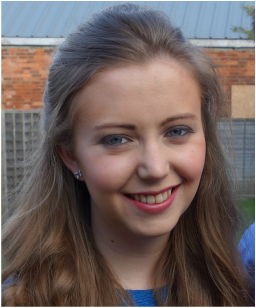 Hannah May Lathan is currently studying a masters in Development and Emergency Practice at Oxford Brookes University. She has volunteered several times in the refugee camp in Calais working with shelter repair, aid distribution and teaching. This developed her passion for human rights, refugee studies and conflict resolution. She hopes upon obtaining her masters degree to further her career within the development sector. Hannah is excited to be part of the Human Rights Festival Committee. 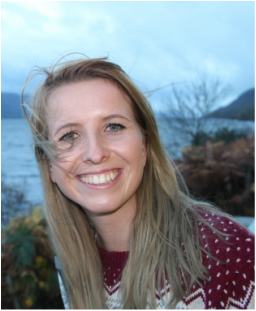 Clare Dickson is a student on the Development and Emergency Practice Masters programme at Oxford Brookes. A keen advocate and campaigner for an end to global poverty that includes vulnerable and marginalised groups, she has a specific focus on reducing inequalities and reaching those affected by conflict and the effects of climate change. Clare hopes to use the Oxford Human Rights Festival to discover and showcase innovative approaches to tackling poverty and inequalities, by increasing awareness of everyone's right to a safe place to call Home. Yasmin Mo is a second year International Relations and Philosophy student. She has been a regular volunteer in the Calais refugee camp since January which sparked a stronger interest in human rights and refugee studies. She is part of the local Refugee Action group in Witney and together they collect aid for containers to Syria, Greece and Lebanon, organise fundraising events and raise awareness to the current refugee crisis. The Human Rights Festival is an exciting opportunity for her to expand her skills and develop her interests in this field. 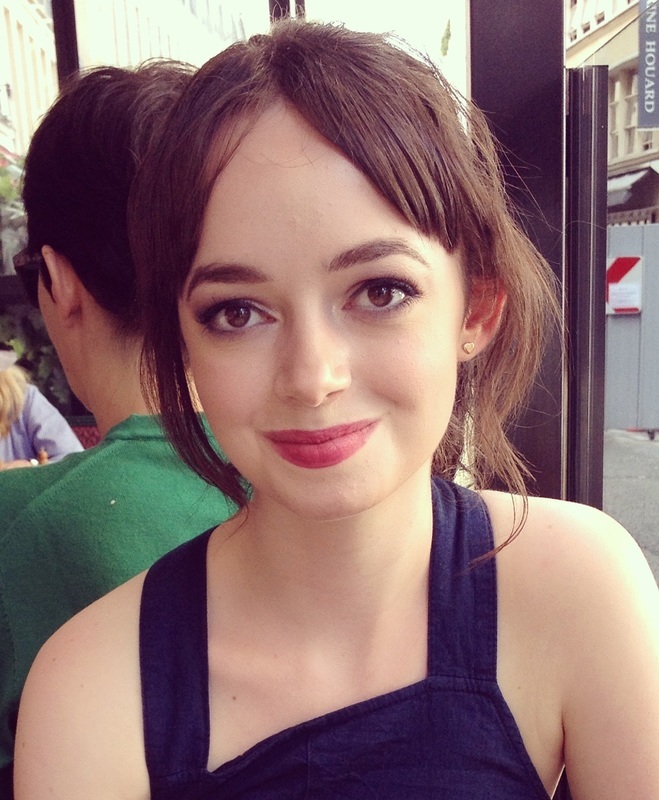 Natalia Punton is a third year Film Studies student. She has spent time on multiple film sets working as a Production Assistant in order to gain experience in the film industry. Having grown up in some of the most diverse pockets of central London, she has worked on community projects, such as the Somers Town Wishes films. This series was designed to preserve and improve the local area, especially against the threat of faceless gentrification. Her last project saw her write and direct a short film about the realties of a young, working class family, who balance both work and family life against all odds. Natalia hopes to bring her knowledge of media and her passion for films that highlight the experiences of often-overlooked communities and individuals. Her aim for the 2017 festival is to showcase films that educate and inspire audiences, and ignite conversation about the importance of home. 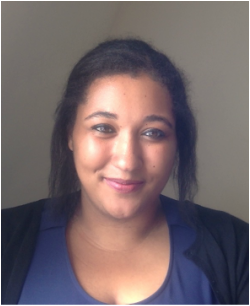 Aiysha Whitfield is a dual British-American third year Film and Communications, Media and Culture student. She has worked in voluntary sector organisations, both in America and England; working with with disadvantaged youth who have faced inequality in education, health and social and economic opportunity. She was a youth leader for a prominent civil rights organisation in the US and a youth advisor to elected representatives. She has also been an active advocate for gender, race and class equality, and worked to encourage greater participation in the electoral process. By volunteering with the Human Rights Festival, Aiysha hopes to use her passion for communication to contribute to raising awareness of the importance of human rights, and recognizing that each person deserves to be treated with dignity, fairness, equality, respect and independence. 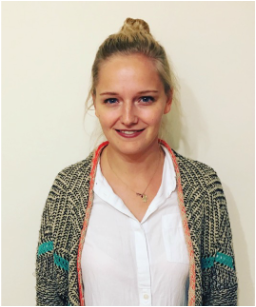 Barbara Dirrheimer is a final year student in Oxford Brookes' Business and Marketing Management Undergraduate program. She interned at UNESCO before starting university and had the chance to get an inside into the challenges standing the way of issues like gender equality, education and decent living conditions for all. She believes in the importance of raising as much awareness as possible of these issues in order to change the situation. Using her knowledge acquired from her degree and practical experience in the advertising and marketing sector, she wishes to promote the OxHRF to students as well as people outside the university's community. Alexandria Moore is from Australia and is studying her Masters in Development and Emergency Practice. As a qualified urban planner with over 6 years’ experience in community planning, urban design and policy drafting, she understands the importance of building communities that people can call home. 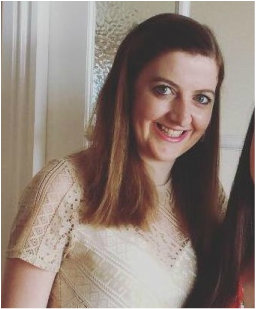 With her personal experience of growing up in an aboriginal community, working in that voluntary sectors of Amnesty International and Brisbane Homeless Connect, building shelters in Cambodia, and providing disaster relief following the floods and fires in Queensland, she is looking forward to helping promote the theme of home through the Oxford Human Rights Festival.